Oak Cliff has been the native home to so many famous and talented people, including Bonnie Parker and Clyde Barrow, but I had no idea it was also where blues great Stevie Ray Vaughan grew up. About a week ago, I was looking at the homes owned by Democratic gubernatorial candidate Lupe Valdez, and I saw 2557 Glenfield Avenue pop up as the childhood home of Vaughan. Then I heard it was on the market, It appears to have an option contract on it already… with a purple kitchen! 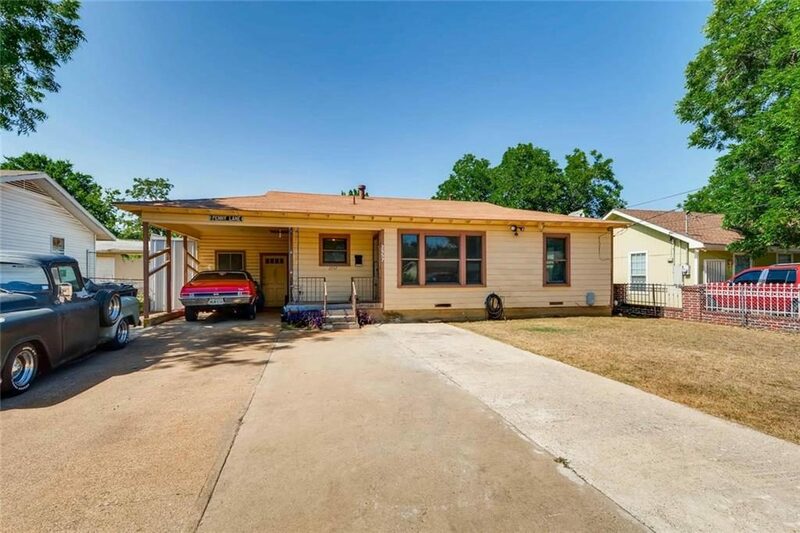 The 1,100-square-foot, two-bedroom, one-bath house at 2557 Glenfield Ave. listed at $159,900, is where Jimmie and Stevie Ray were raised. Amazing how comfortable people once were raising two children in an 1,100 square foot home years ago. Here is how the agent, Ian Flannigan of eXp , describes the 63 year old home – Jump to see the interiors and the PURPLE kitchen!